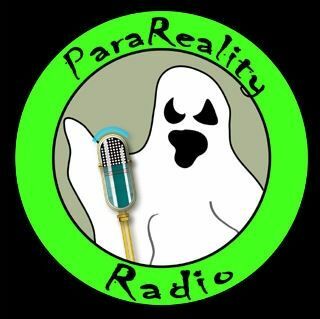 ParaReality Radio focuses on everything that's strange, paranormal or mysterious, from ghosts, UFO' s and cryptids to metaphysics and government conspiracies. ParaReality is an Internet stream radio show that airs the first Monday of each month. It is a 2 hour long show that talks to guests from all over the world as they explore paranormal/pagan/spiritual/inspirational topics and issues including subjects related to ghosts, spirits, hauntings, apparitions, electronic voice phenomena, near ... See More death experiences, miracles, the unexplained, Wicca, the esoteric, the occult, magick, dreams, UFO sightings, medicine, alternative healing, psychic abilities, and more. Join long-time paranormal researcher Sandman and his roster of special guests, experts and experiencers, as they explore the realms of the known and unknown. Listen to the show to learn about the great mysteries of the paranormal field in the 20th and 21st centuries. The original ParaReality Radio was broadcast on Live365 from 2004 to 2009. I did over 100 episodes and three out of the five years that I was on the air I had the #1 rated talk show in my genre. I had a great time and interviewed some wonderful guests. For this show here on Spreaker, I'll be replaying all of my old Live365 shows ... See More in order, beginning with the very first show that I ever did. Things were a little rough in the beginning but I eventually found my style. I hope you enjoy listening to these replays.